Richard writes: A few weeks ago I applied for a grant from The Co-operative Bank's Community Directplus Fund. I was rather pleased with the description of Library Camp and decided to post it here. 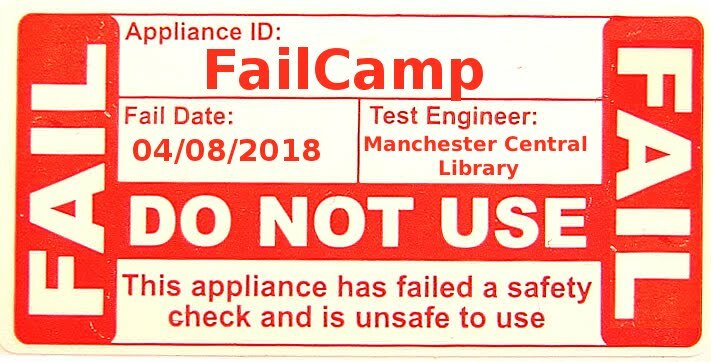 Library Camp is not an advocacy organisation for libraries. It does not seek to influence local or national policy, though its' attendees may wish to. Its’ aim is to provide a politically neutral arena for debate. Library Camp is a place to facilitate the exchange of ideas between library enthusiasts. It will not censor any discussion and it will avoid being censored itself. The sole financial activity of Library Camp is to fund unconferences about libraries, locally, nationally and, potentially, internationally. As the camps must be free to attend, costs are covered through donations and sponsorship. Public libraries, created to encourage literacy among those without access to literature, are recognised globally as a tool of empowerment. Library Camp UK12 is the second national unconference for libraries. The event again will be volunteer directed and free to attend for anyone interested in the future of libraries. The internet has wrought changes in academic, commercial and other privately funded libraries never before seen. Access to information is moving from scarcity to ubiquity. Public libraries are facing the greatest challenge in their 200 year history. Over the last 30 years book issues have halved and the percentage of the public who regularly use libraries has declined from 70 to 30%. In spite of, perhaps because of, these difficulties it is evident quantitatively and qualitatively, that the public "love" libraries. Library Camps are places to map the route between these two seemingly disparate views. Not only are the camps places to save libraries, but also places to return libraries to mass public use. The £1,000 requested goes towards the £3,000 cost of Library Camp UK12. The Signing Tree conference centre was chosen to host the event. It is the social enterprise of the Birmingham Institute for the Deaf. The venue will provide catering and practical support for the organisers and the 200+ attending in October. This is the single biggest expense to Library Camp. Printing costs, for the event programme, will be the second most significant cost. As promoting LibCampUK12 is mostly online, many internet/technical solutions are either free or of a low-cost. We recognise that this, almost exclusively, online promotion ignores many potentially interested parties. We expect to use traditional media in the future, increasing our expenditure considerably. We have made fantastic progress in raising the funds required to host a successful camp. With individual donations ranging from a few pounds to £100 and sponsorships of £50 to £1,000, we are confident all costs will be met. Any excess funds will go to help local Library Camps meet their lower, but not insignificant costs. Library Camp received of a £400 grant from a LocalGovCamp unconference surplus. Manchester, Leeds and Exeter have all held camps in free venues that would have benefited from a central fund to help provide teas, coffees, stationery etc. I'm testing the comments function! A very nice summary and a powerful argument - fingers crossed. In relation to the other debate, think there is a clear distinction between *librarycamp* not being political, and the fact that we live in a highly political world - it doesn't (and mustn't) stop us being political in the debates - part political or otherwise - otherwise the debates will be stifled and bloodless. I mention this because I've seen some unconference events (localgovcamp and others) get really spoilt when participants seem to think there's a need to censor themselves - and not only avoid politics, but also avoid any conflict and controversy. Let's be polite to each other, of course, but let's unleash some passion, and let's be intensely political about working out what we want to achieve and how to achieve it (as groups of people, not 'representing librarycamp').